There are few symbols in the world more closely associated with freedom and power than the bald eagle. Selected by the Founding Fathers in 1792 as the official emblem of the United States of America, the bald eagle is revered to this day for its power, majesty, and longevity. Today, the bald eagle is featured on the logos of government agencies and various coin series issued by the US Mint. Now, you can own a 2015 1/2 oz Gold American Eagle coin in brilliant uncirculated condition from Silver.com. 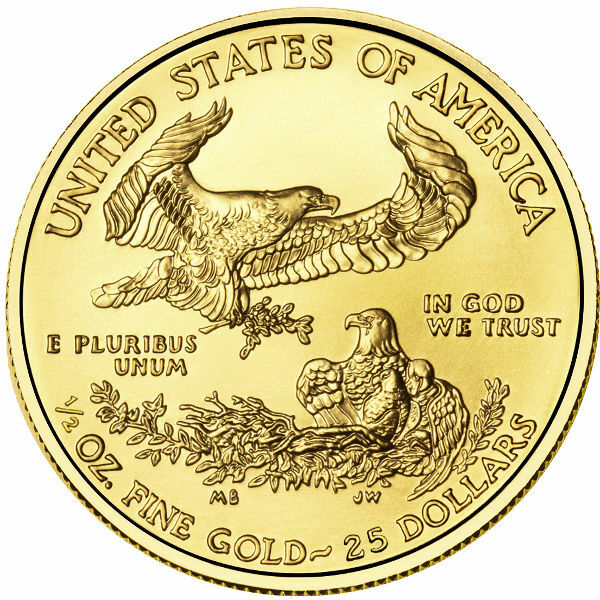 American Gold Eagles are the official gold bullion coins of the United States government. The program was launched following the Gold Bullion Coin Act of 1985, which authorized the US Mint to produce an official gold bullion product using only gold that was sourced from within the US. 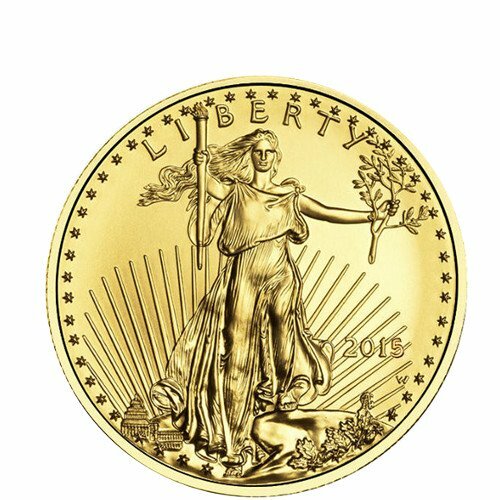 Since its introduction, the American Gold Eagle has been minted in 1/10 oz, 1/4 oz, and 1 oz weights, in addition to the popular 1/2 oz denomination. 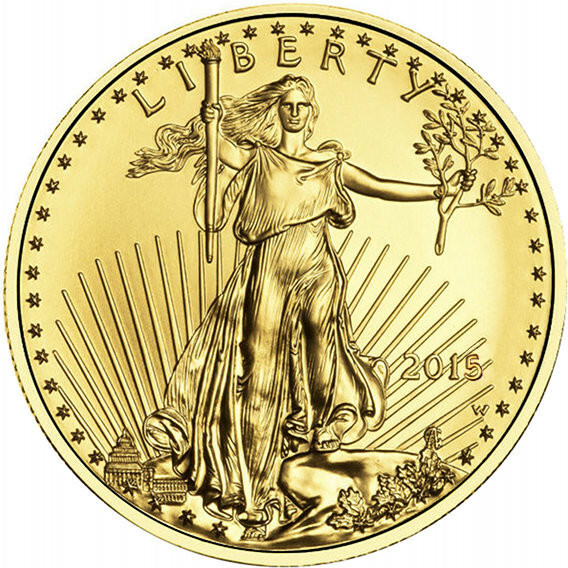 On the obverse side of each 2015 1/2 oz Gold American Eagle is Augustus Saint-Gaudens’ stunning figure of Lady Liberty. First used on the $20 Saint-Gaudens Double Eagle Gold Coin, commissioned by President Theodore Roosevelt, Lady Liberty can be seen emerging from the rising sun with a torch in one hand and an olive branch in the other. Engravings on this side of the coin include “Liberty,” the year of minting, and one star around the edge for each of the US states. The reverse side of the coin features US Mint sculptor Miley Busiek’s image of a male eagle returning to the family nest with an olive branch in hand. Inside the nest, a female eagle stands guard over the hatchlings and remaining eggs. Engravings on this side include “United States of America,” “In God We Trust,” “E Pluribus Unum,” and the coin’s weight, purity, and metal content. The US Mint is one of North America’s oldest mint facilities. Founded in 1792, it has served as the official minting facility for the federal government for more than 200 years. It operates from four primary facilities and produces a wide range of commemorative and circulation coins. If you have any questions for the associates at Silver.com about these coins or any of our products, don’t hesitate to call us at 888-989-7223 or chat with us live online at our website. We can answer all your questions about products and other services offered by Silver.com.